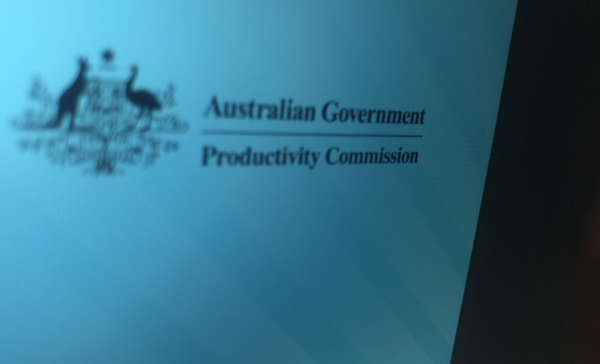 Is there any need for a Productivity Commission inquiry into the private health insurance industry given it told us last year what it thinks should happen. Labor has announced that, if elected, it will direct the Productivity Commission to conduct an inquiry into the private health insurance industry. The push for an inquiry by the federal government's main advisory body on macroeconomic reform has been led by the Consumers Health Forum. However, just last year, as part of its five-yearly report on productivity, it made a number of findings and recommendations in relation to private health insurance. The commission recommended removing the rebate from extras cover and changes to risk equalisation that underpins community rating. It said regulation, led by community rating that sets premiums in a way unrelated to individual claim patterns, has the "serious disadvantage" of lowering the incentive for insurers to invest in prevention. "...because any gains made by one insurer are shared with the others. Where insurers are investing in prevention, they could readily lose 50 cents for every dollar of benefit they obtain from avoiding health care costs, which must weaken the commercial viability of such actions," it said. The commission recommended, "removing some of the shackles" from industry, such as not including a health insurer's investment in prevention as part of risk equalisation calculations. It also suggested an across-fund approach to managing chronic illness to "reduce free riding." "Under current policy settings, private health insurance premiums have been rising at rates well above the CPI, and for the first time in 15 years, the proportion of the population covered by private health insurance has fallen. It is in all insurers’ interests to reduce those pressures. "It may be feasible to develop some common approaches to reduce claims through better management of chronic conditions, even if the strategies are executed differently from fund to fund. The high cost of prostheses and the strategic activities of public hospitals to switch patients admitted into emergency departments to privately-insured status have also been important drivers of premiums, although policies have changed recently to reduce those pressures." The commission said private health insurers are "being far more active" than the public health system in promoting system-wide transparency. It also said one other option in relation to the rebate would be to remove it from low-value interventions, as determined by clinical evidence, but not basic cover policies as advocated by some stakeholders. It said the cost of low-value interventions could be addressed through changes to clinical guidelines.